Business owners, key executives, and key employees spend considerable time and effort to acquire the knowledge, experience, judgment, reputation, relationships and skills that make them a valuable asset to the business! If one of these key people dies, becomes disable or critically ill, the business loses a key member of the team and this can have a severe financial impact on the company! The business will suffer from the loss of knowledge, expertise and management capability. Lenders may cut back on credit. Creditors may press for immediate payment of outstanding debt. Debtors may delay making payments. Employees and customers may lose confidence in the business. Competitors may take advantage of the unfortunate business situation. Unfortunately, during the time necessary to search for a replacement, the business will experience delays, disruption and reduced efficiency which could result the weakening of the financial stability of the business. The impact of such a situation can be considerably reduced if the business has succeeded in establishing a proper plan prior to this event of loss. Fortunately, the possibility of death or disability of a key person is a contingency or risk that can be insured! A Key Person or Key Man succession business plan should include the purchase of Insurance policies for the death, disability or critical illness of a key player to ensure that there will be immediate cash to cover the business’s working capital needs as well as to find and train a suitable replacement for the person lost. The value of these benefits to the business should far exceed the cost of the insurance! Businesses can purchase corporate-owned life insurance on the lives of their key people. If one of these key people dies, the business receives a tax-free death benefit which it can then use however necessary to maintain financial stability. 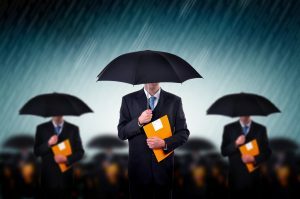 A side benefit for private companies is that the life insurance proceeds can be paid out as tax-free dividends to the owners once the business has recovered. The premiums paid by the corporation for the purpose of Key Man coverage are not considered as a deductible expenditure, but the cash benefits received are non-taxable to the corporation. If the corporation no longer needs the Life Insurance policy for corporate protection, it can transfer ownership to the insured employee or shareholder – however, since this transfer would be considered to be a disposition for income tax purposes, it is essential that all of the information provided in the Income Tax Act be reviewed to determine which specific rules would apply to your policy. Premiums for the corporate owned Disability Insurance for the purpose of Key Man coverage is a non-deductible expenditure by the corporation. Cash benefits and Return of Premium benefits are non-taxable to the corporation. If the corporation no longer needs the Disability insurance policy for corporate protection, it can transfer ownership to the insured employee or shareholder without tax consequences to the corporation; however, the employee or shareholder would then become responsible for paying the premiums personally. Critical Illness insurance is also available on key people. The company owns the plan and is the beneficiary of the proceeds. The proceeds, of course, can be used for all the same purposes as proceeds from Life Insurance plans. If the corporation no longer needs the Critical Illness insurance policy for corporate protection, it can transfer ownership to the insured employee or shareholder without tax consequences to the corporation; however, the employee or shareholder would have to include in his or her income the amount by which the fair market value of the policy exceeds the amount paid for it. – The amount included in the employee or shareholder’s income would only be deductible to the corporation if it were provided as an employee benefit. Let Health Risk assist you in making Key Person insurance part of your business succession plan! Please contact Health Risk should you have any specific questions regarding Key Person or Key Man Protection or if you would like to receive a quotation.